Both are (IMHO) great books, but in this post I wanted to cover the latter (more on Mr. Feynman after I finish reading "What Do You Care What Other People Think? 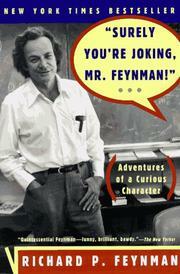 : further adventures of a curious character"). First of all, I would like to thank my good friend Al for turning me onto the subject and gifting me the book. 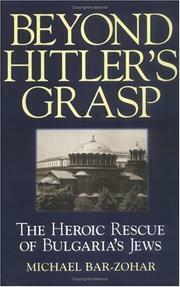 I thought I knew quite a bit about the history and the fate of European Jewry during the WWII and the "Die Endlösung". After all, I have read extensively on the subject, both in school and later on; watched many documentary and popular movies - "Обыкновенный Фашизм" ("Triumph Over Violence"), "The Nazis: A Warning from History", "The Last Days", "Judgment at Nuremberg", "Nuremberg", "Conspiracy", "Pianist", "Life Is Beautiful", and "Schindler's List"; visited United States Holocaust Museum. And, of course, having grown up in the Soviet Union and being of Jewish decent myself I always had a strong personal connection to the events of WWII - one of my grandfathers was killed in action, another fought all the way to Berlin, many of my other relatives have fought or perished during the war, many suffered the displacement, evacuation, hunger, malnutrition, and other hardships. But I must admit the story of Bulgarian Jews completely evaded me. Unlike stories of Swedish and Danish Jewish Communities this one doesn't seem to be as well known and publicized, but what a remarkable story it is!!! Yes, the story is not all roses - about 13,000 Jews from Thrace and Macedonia, territories under Bulgarian administration, were deported to the death camps in the East; and Bulgarian Jews were badly mistreated under "The Law For the Defense Of The Nation", but not one Bulgarian Jew was deported and the overall Bulgarian Jewish population grew during the WWII. Dimitar Peshev, deputy speaker of the Bulgarian parliament, wrote a letter to prime minister in which he opposed any future deportations of Bulgarian Jews. He convinced 42 of his colleagues in parliament to sign the petition and presented it to the prime minister. Elin Pelin, famous writer and a personal friend of Boris III, asked the King to put an end to the threat of Jewish persecution in Bulgaria. Metropolitan Kyril fearlessly and repeatedly had criticized the government’s policy toward the Jews. Back in 1938, he had written a brochure called “Faith and Resolution,” condemning anti-Semitism. Another report tells of his coming to the school where the Jewish leaders were kept and asking to come in, to talk to them, Kyril was stopped by the police officer on guard: “you cannot enter, Father,” an officer said, barring his way. “I cannot enter?” the Metropolitan echoed. “Try to stop me!” Defying the guards, he climbed the fence, jumped into the schoolyard, and addressed the Jews who flocked around him. “Wherever you go – I’ll go.” he said. The Metropolitan [Stefan], however, indignantly protested against the suppression of his articles when he met the censor and a group of German diplomats at a party in Sofia. “It isn’t true that I am anti-German,” the head of the Sofia church said to the censor, “I am an admirer of many Germans, like Stefan Zweig, Thomas Mann, and Albert Wasserman” He stared fixedly at his pro-Fascist interlocutor, to make sure that he had registered the names of the famous Jewish and liberal German writers. And I am proud to say that saved Jews showed their sincere appreciation by providing financial support to their saviors, who quickly fell out of favor with the Bulgarian Communist regime; by nominating 19 Bulgarians to the Righteous Among the Nations Honored by Yad Vashem; and by celebrating (in Israel) every year on March 9th the rescue of Bulgarian Jews. "With the measure you use, it will be measured back to you!" "Whosoever saves a single life, saves an entire universe."